Welcome to Jasper, Indiana, a wonderful place to live, work, raise a family and visit! 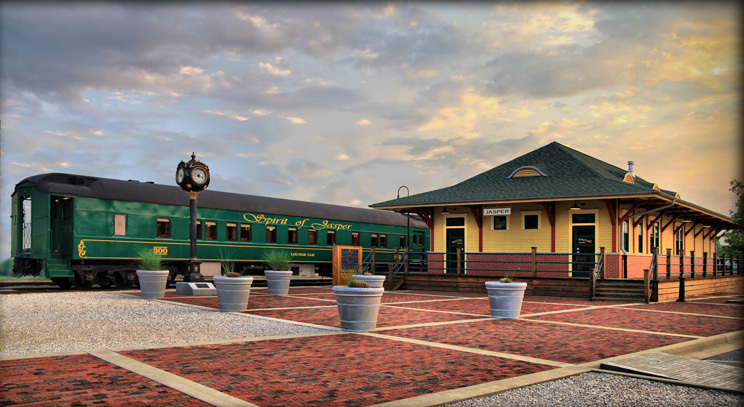 The City of Jasper, named one of America's 25 best small towns, is a thriving community located in the heart of scenic Southern Indiana. The City of Jasper is dedicated to ensuring a premier municipality to its 15,000 residents and thousands of visitors through its beautiful park systems, arts and cultural offerings, safe neighborhoods, and quality public services. We hope you visit us often! Our new 75-acre central park is Indiana's Natural Destination. It features two miles of trails, 25 acres of woods, wetlands to be used for nature studies, and an indoor public event space, a signature bridge, splash pad, tree fort, musical playground and four exercise pods. Constructed to resemble the former mill that once stood near the Patoka River, this structure is a signature addition to the "Old Jasper" district. Our city was named by the owners of the Enlow Mill and we've grown from the banks of the river. 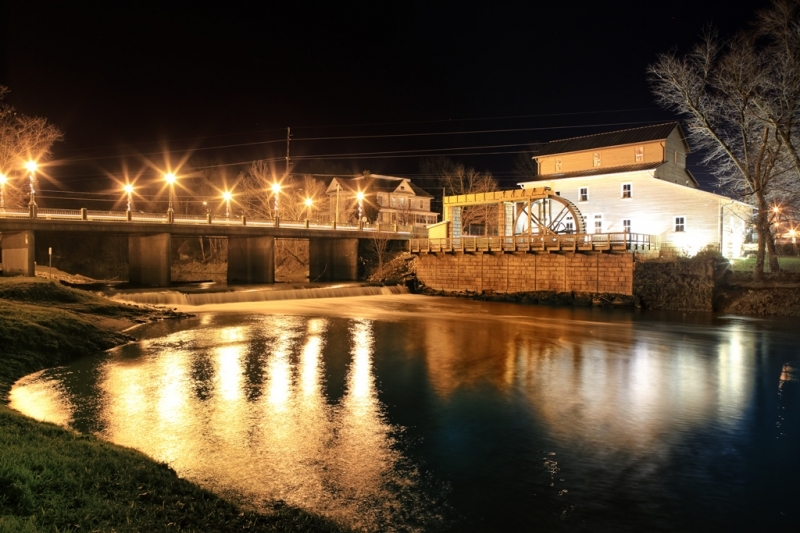 Guests can tour the mill, watch the workings of the waterwheel and corn meal production and browse for souvenir items for purchase in the gift shop. 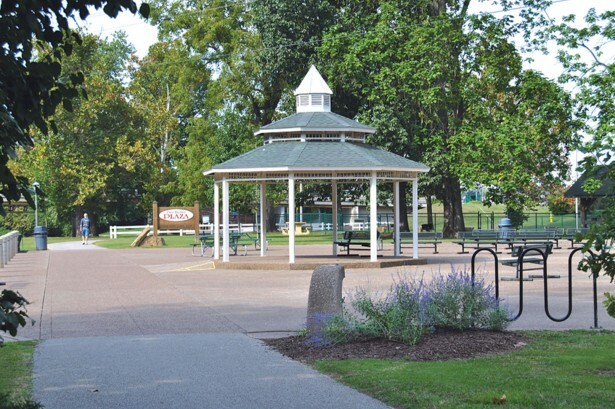 Embrace the serenity of the Patoka River while relaxing at the plaza/rest area. All aboard the Spirit of Jasper for a scenic excursion from the Jasper Train Depot. Ride in style on three beautifully renovated, climate-controlled lounge cars complete with restrooms, comfortable seating and a cash bar. Excursions to French Lick or an evening Ride & Dine or Sunday lunch prepared by the Schnitzelbank Restaurant. 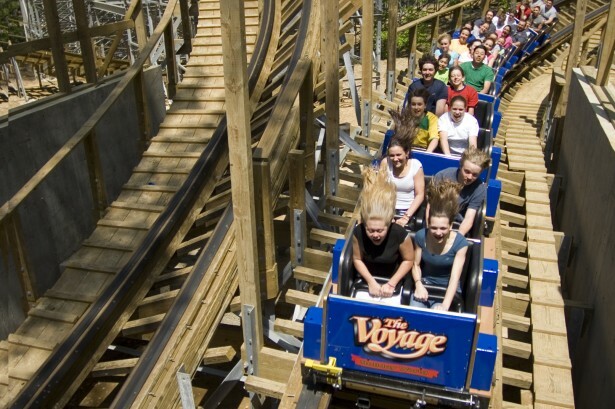 Additional special rides available on select dates and times throughout the year. Visit SpiritofJasper.com for more information. 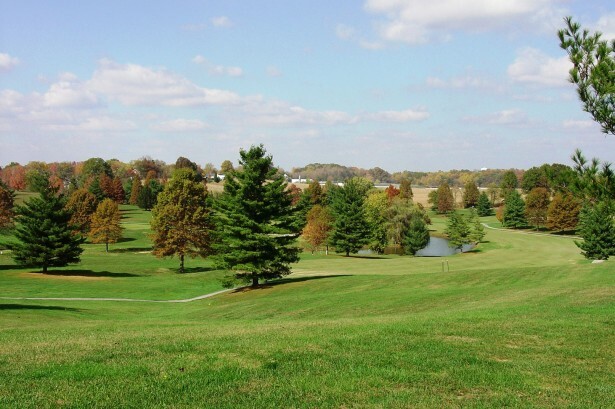 Buffalo Trace Golf Course is an 18-hole, par 71, public course featuring Zoysia fairways and is located just minutes form Sultan's Run Golf Course and the heart of downtown Jasper. Ruxer Golf Course was built in 1994 on land deeded to the city from the late entrepreneur Alvin C. Ruxer. It features four par 4's and five par 3's along with a lighted driving range and a large practice green area. Please call for a complete list of tournaments and activities throughout the summer. One of the finest entertainment, cultural, and educational venues in southern Indiana, this facility draws worldwide talent and experiences to an intimate setting. The 700-seat theater offers some of the highest quality professional performing arts events and programs currently on tour at affordable prices. The Krempp Gallery, which hosts 12 exhibits annually, houses artwork from local, regional, and nationally-recognized artists. Located adjacent to the Vincennes University Jasper Campus. To learn more, visit the Jasper Community Arts page. The German heritage of Jasper is celebrated at this annual five-day festival that draws over 30,000 visitors the first weekend in August. 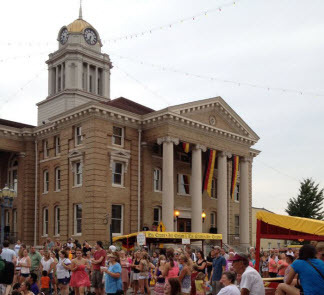 Centered around the Courthouse Square, booths offer German cuisine and children's games. The Bier Garten offers a place to meet old and new friends. German bands provide the Polka music. Other attractions include carnival rides, athletic races, fireworks, balloon race and a 100+-unit parade on Sunday. Completed in 2006, this baseball and softball complex played host to a national softball championship in its first season. 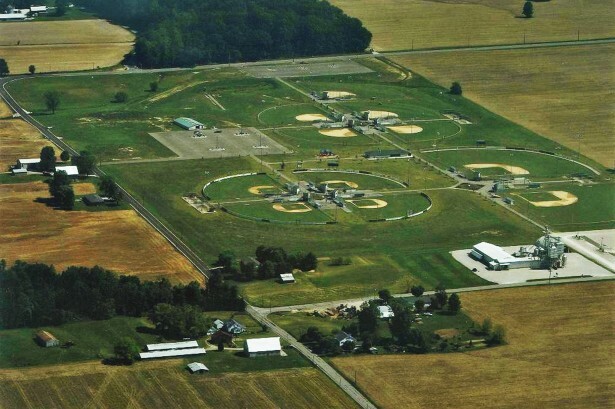 All fields are lighted; complex includes 4 Little League fields, 2 Babe Ruth fields, 4 softball fields with 200' fence, 1 softball field with 220' fence, ten lighted batting cages, restroom facilities, three lighted parking lots, a concession stand and bleacher seating. To the east is Patoka Lake, a 25,290-acre recreation area and 8,880-acre lake, where you can swim, fish, boat, camp, bike, hike, and hunt. In the winter months, Paoli Peaks, in Paoli, provides a winter playground for snow-skiers, snow-tubers and snowboarders. To the north east, the historic towns of French Lick and West Baden are thriving tourist destinations. 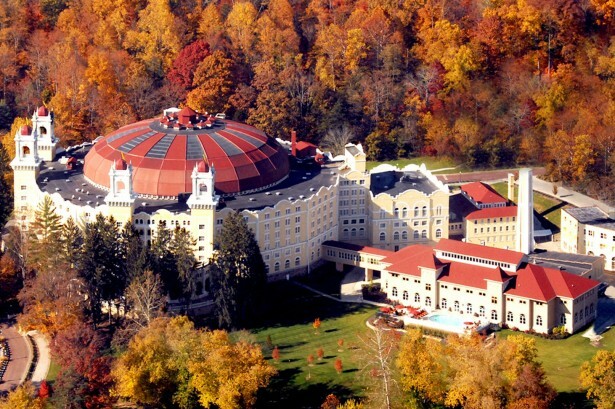 West Baden Springs National Historic Landmark, once called the "Eighth Wonder of the World," is a six-story domed atrium and along with the grand French Lick Springs Resort has a casino and offers lodging, world class spas, pools, golfing and dining. Also nearby, Marengo Cave, a Natural Landmark, is a spectacular underground phenomenon to explore while Cave Country Canoes offers canoe trips down the scenic Blue River. 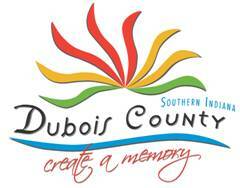 For a complete list of area attractions, dining options and lodging choices, please visit our tourism partner's website, Dubois County Visitors Center & Tourism Commission.